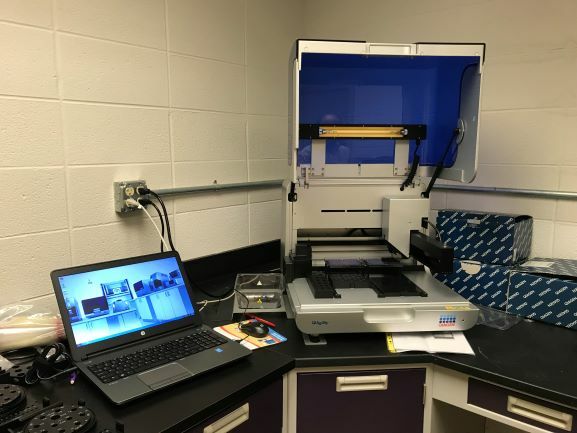 A Robot workstation for automated set up of PCR, pathogen detection, and cloning reactions. The liquid handling robot is equipped with a single channel pipetting head, and can handle a large number of tube and plate configurations with extremely high precision. This Real-Time PCR thermocycler has five color channels – green, yellow, orange, red, and crimson – capable of detecting a large number of fluorophores. The Rotor-Gene Q PCR system has rapid cycling, high optical precision, and extremely low tube to tube variability for robust and reproducible quantitative PCR. 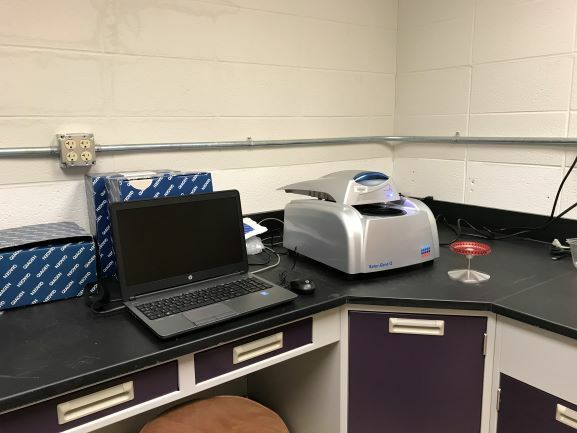 This plate reader is capable of measuring UV and visible absorbance, luminescence and fluorescence intensity in a number of plate formats. The monochomator is tunable in 1 nm increments within a range from 200-999 nm. 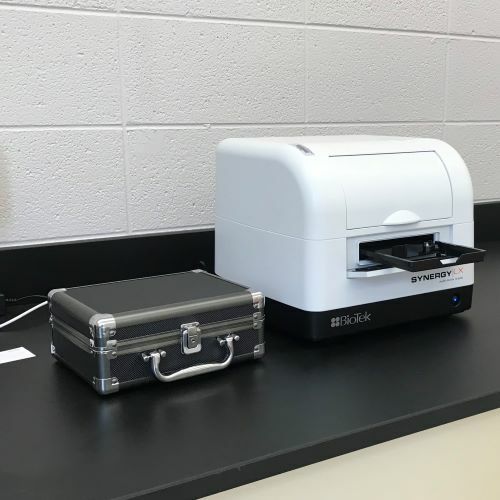 The instrument comes equipped with the Take3 plate system for low volume (2 microliters) absorption measurements, useful for quantifying RNA, DNA or Proteins. We further have red and green filter cubes for fluorescence intensity measurements. This plate reader is supported by a desktop computer running the Gen5 software.